Looking for events that are fun AND engage you in more conversation than traditional networking events and use your precious time wisely? Would you benefit from professional and business development? Browse through our full event calendar to find the next event for you. Can't find the right event? Get in touch and we will suggest an event for you! To hear about our upcoming events you can sign up to Connect4Success and receive our FREE gift of Conversation Starters or follow us on Facebook and our LinkedIn Company page. Want to become part of our community? Find out more about the YTM Membership packages. I met Kerryn over a year ago through a YTM event and the networking opportunities that have stemmed from this engagement have been incredibly helpful. My work has me navigating through very new territory, so the ability to meet new people who can share their knowledge, expertise, ideas and own networks has given me tremendous confidence and opened up so many more avenues to consider. I always feel enormously energised after a YTM experience! Traditional networking guidelines make ‘networking’ look fairly transactional. 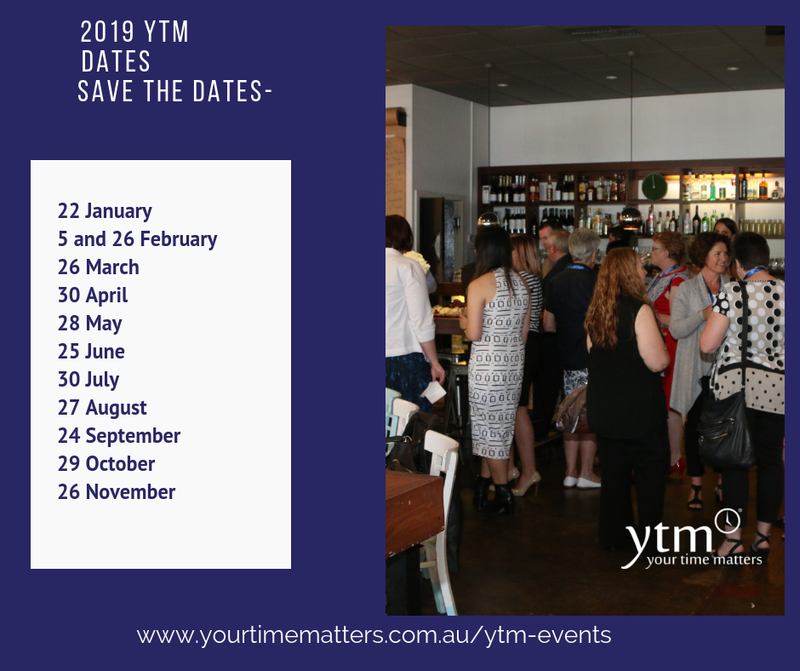 However, Kerryn Powell makes networking more effective by arranging professional meeting “Your Time Matters” events, where participants get to know people before needing help with something or selling products and services.